The first word in the phrase sport-utility vehicle has always been something of a misnomer, as but a few SUVs offer driving characteristics that are remotely sporty, much less exciting. Accordingly, it shouldn''t come as much of a surprise that the budget-priced 2014 Mitsubishi Outlander Sport has a hard time living up to the performance its name seems to imply. While the Outlander Sport shares its name with Mitsubishi''s regular Outlander, the two models are only loosely related: The regular Outlander has been redesigned this year while the Sport, based on the old Outlander, carries on largely unchanged. To its credit, the Sport is still smaller and lighter, and it looks sporty enough with its muscular fender bulges and large 18-inch alloy wheels. 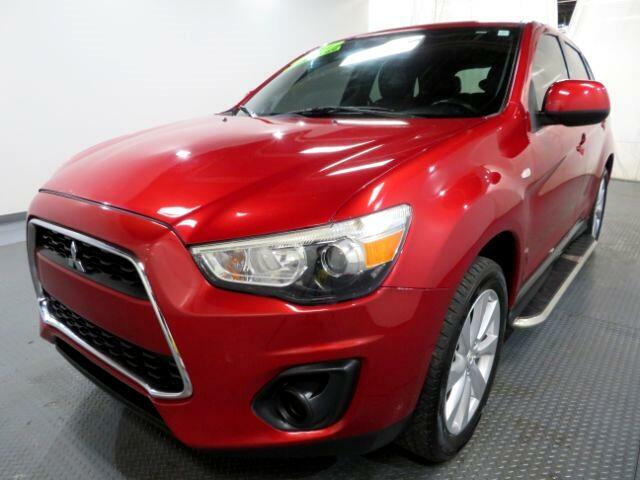 Unfortunately, that''s pretty much where the Outlander Sport''s performance aspirations end. Take the Mitsubishi''s 148-horsepower 2.0-liter four-cylinder engine and continuously variable transmission (CVT), for example, a combination that produces acceleration that can best be described as adequate. Likewise, the Outlander Sport''s suspension, tuned to favor a smooth ride over sharp handling, is not going to fan the flames of anyone''s racecar-driving dreams. ***Internet special. Price reflects discount for cash buyers. Traditional and special financing is available for qualified buyers. Please contact us first for availability as our cars go fast at near wholesale prices. Prices are subject to change. Sales Tax, Title, License Fee, Registration Fee, Dealer Documentary Fee, Finance Charges, Emission Testing Fees and Compliance Fees are additional to the advertised price. All options and condition of the vehicles must be verified with the dealer, any descriptions or options that are listed maybe incorrect due to automatic data transfer.